One of the largest primary-contact health care professions in Ontario, chiropractic is a non-invasive, hands-on health care discipline that focuses on the musculoskeletal system. Chiropractors practice a manual approach, providing diagnosis, treatment and preventive care for disorders related to the spine, pelvis, nervous system, muscular system and joints. Chiropractors use a combination of treatments, all of which are predicated on the specific needs of the individual patient. Please call us if you have any questions about the scope of practice of a chiropractor. What should I expect when seeing a chiropractor? 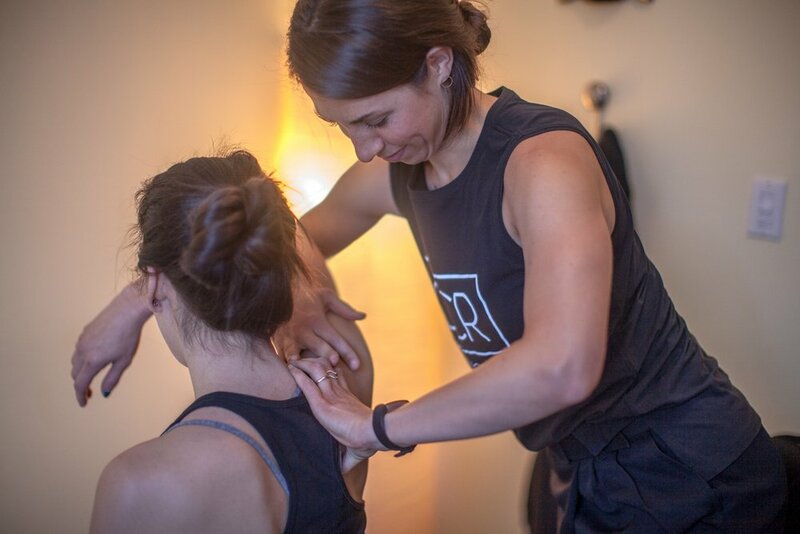 After taking a complete history and diagnosing a patient, a chiropractor can develop and carry out a comprehensive treatment/management plan, recommend therapeutic exercise and other non-invasive therapies. Chiropractic care may also be used to provide symptomatic relief for patients with chronic conditions. According to patient surveys, by treating the musculoskeletal elements of such disorders, chiropractic treatment has been shown to improve the general well-being of the patient. Chiropractic care is a regulated health profession, recognized by statute in all Canadian provinces and American states. Almost 2 million patients in Ontario rely on chiropractic care every year to help them live healthy, active lives.